Self Storage - Compass Commercial Mortgage, Inc.
A self storage facility inclusive of 13 buildings containing approximately 105,718 SF and 809 rental units. A self storage facility inclusive of 18 buildings containing approximately 145,522 SF and 803 rental units. A self storage facility inclusive of 11 buildings containing approximately 138,900 SF and 966 rental units. A self storage facility inclusive of 1 three story building containing approximately 103,392 SF and 923 rental units. A self storage facility inclusive of 5 buildings containing approximately 78,540 SF and 500 rental units and 57 RV Parking spaces. As part of this refinancing the lender agreed to allocate a portion of the loan proceeds for capital improvements. These monies will be used to build out the remaining shell space in Building One. After completion the subject property will contain a total of 88,510 SF, 588 ± locker units and 57 ± outdoor RV parking spaces. The improvements are situated on an irregular shaped parcel containing 4.85 ± acres. A self storage facility inclusive of 3 buildings containing approximately 77,539 SF and 605 rental units. A self storage facility inclusive of 13 buildings containing approximately 64,390 SF, 550 rental units and 242 outdoor RV parking spaces. 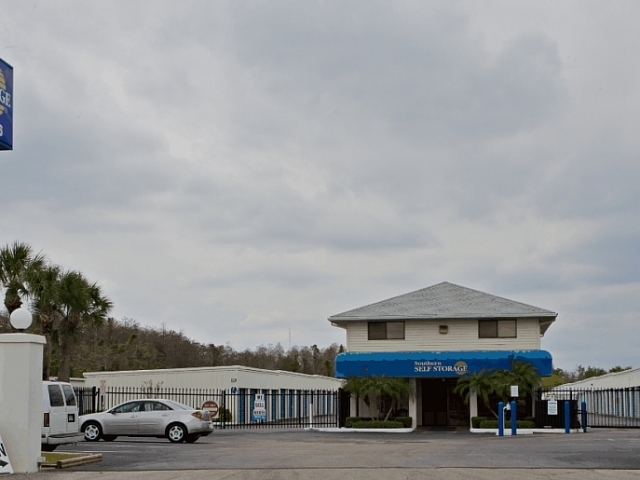 A self storage facility inclusive of 7 buildings containing approximately 111,221 F and 728 rental units. A self storage facility inclusive of 9 buildings containing approximately 68,650 SF and 572 rental units. A self storage facility inclusive of 8 buildings containing approximately 70,924 SF and 708 rental units. A self storage facility inclusive of 13 buildings at 3 neighboring locations containing approximately 46,921 SF and 372 rental units. A self storage facility inclusive of 11 buildings including an Office and Manager Apartment building containing approximately 56,197 SF and 474 rental units. A self-storage facility including 8 buildings including an Office and Manager Apoartment building containing approximately 107,522 SF and 681 rental units. A self-storage facility including 8 buildings including an Office and Manager Apoartment building containing approximately 107,522 SF and 681 rental units. At the time of acquisition, the property was branded as Embassy One U-Store. This property will be rebranded to Southern Self Storage at a later date. A self storage facility inclusive of buildings containing approximately 62,462 SF and 460 rental units.